With spring in the air, we thought that we would share a couple of spring-related Bow-Tie Cotter applications! 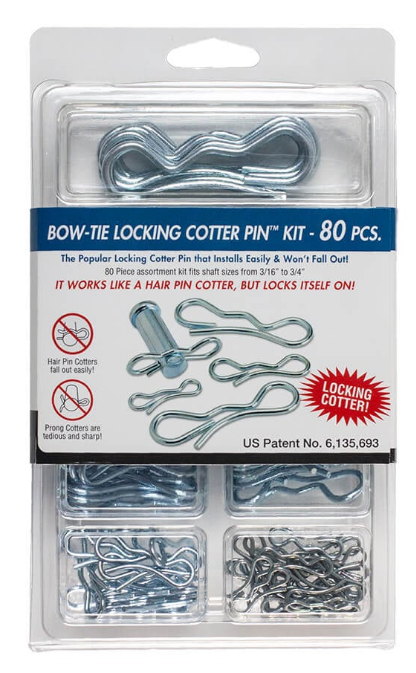 Bow-Tie Locking Cotters pins automatically lock onto a shaft- making them far safer than Hair Pins Cotters, which can easily fall off. They are easier to use than prong-style cotters, and have no sharp edges! We are proud to say they are invented and patented by us! Many millions of our popular Bow-Tie Locking Cotters are in use today in countless applications. Try it yourself- contact us for free samples! 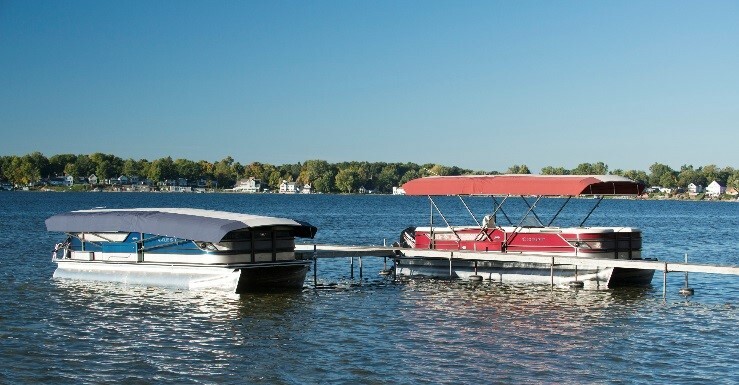 Vision Marine Products, LLC is the designer and manufacturer of the Easy Cover™ automatic pontoon cover system. 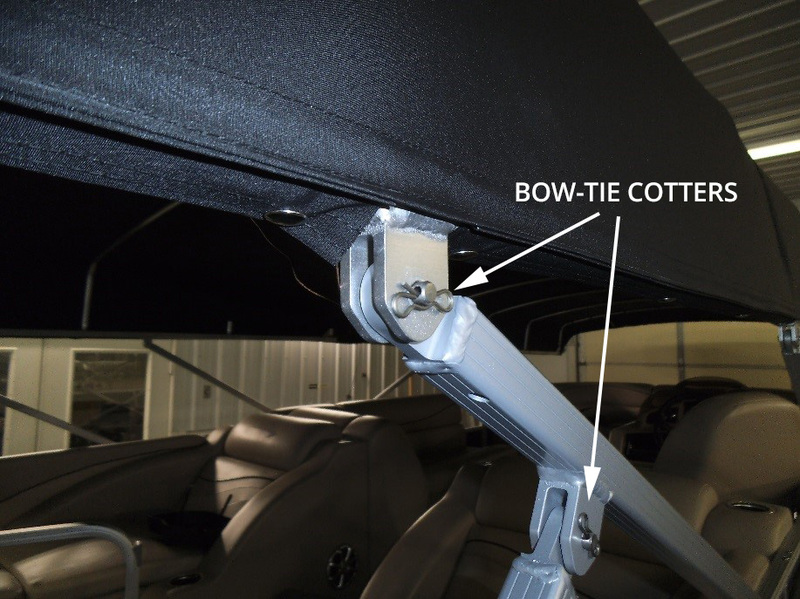 This unique, remote-controlled pontoon boat cover eliminates the time and effort of covering and uncovering a pontoon boat. 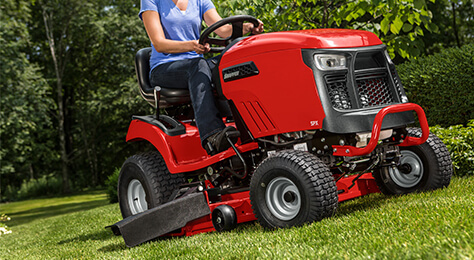 Outdoor equipment such as lawn mowers, tillers and the like are perfect applications for Bow-Tie Locking Cotter Pins, which are found on some of the most trusted brands in the industry, including John Deere, Husqvarna, Ariens, Cub Cadet, Toro and more! Outdoor equipment inherently has a lot of movement and vibration, and Hair Pin cotters can easily fall off. Bow-Tie Cotters lock on and are rugged enough to handle it! They are still easy to remove for servicing of equipment. 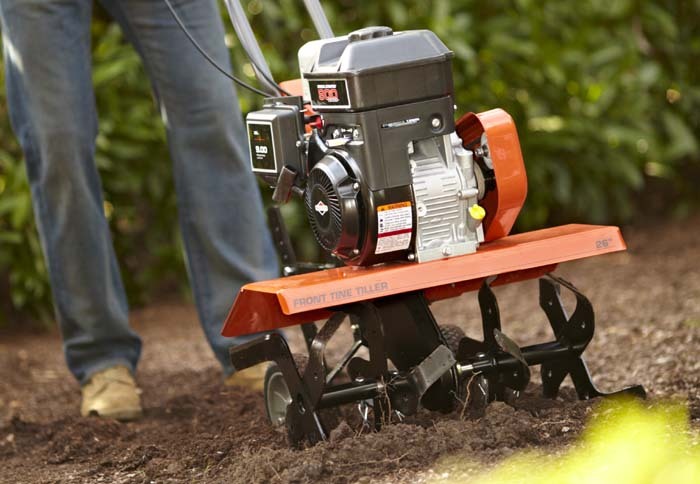 You can find Bow-Tie Cotters on mower decks, tiller shafts, linkage parts, pivot points and more. ALSO AVAILABLE IN A HANDY ASSORTMENT PACK!